This could take a while, especially copying the large install.wim file. 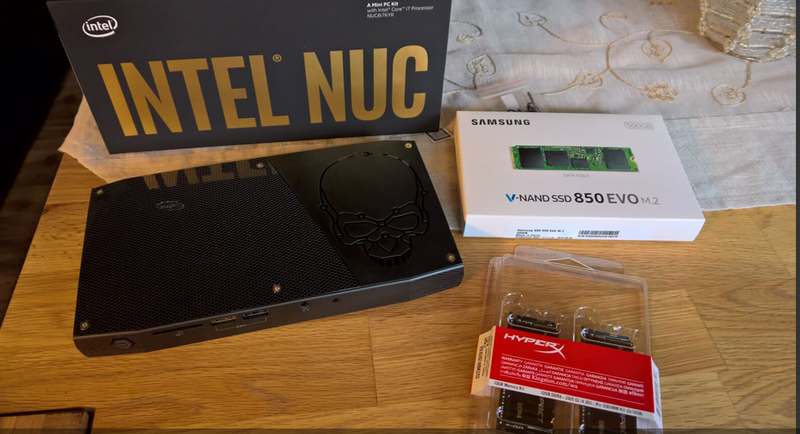 After copying is finished, you are ready to boot the USB stick on the Intel NUC Skull Canyon. At the Intel NUC boot screen, hit F10 to enter boot menu, and select the boot option for UEFI USB drive. 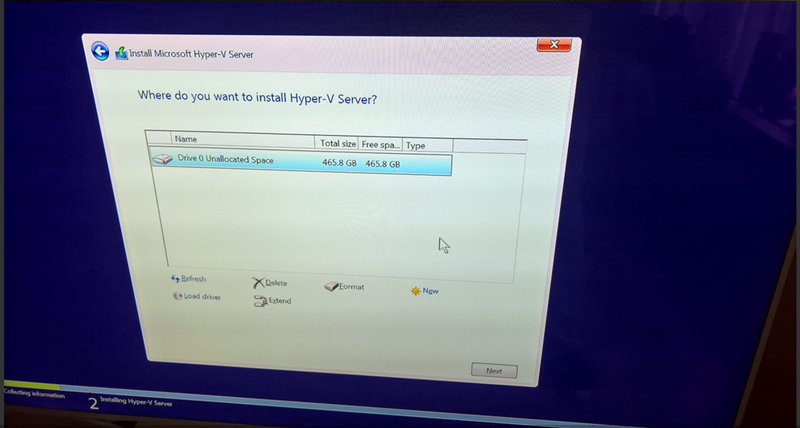 After this the Windows Server, 1709 server install should begin. 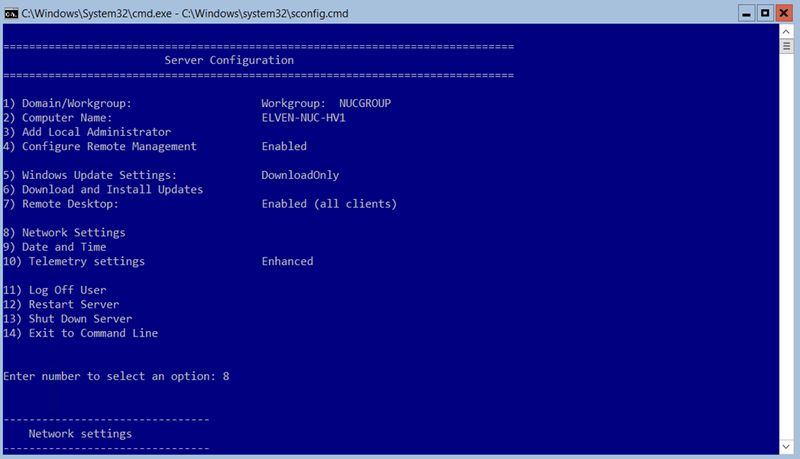 Install the Windows Server, 1709 following the installation process, and since 1709 is only available in Server Core, you will have to use Command Prompt and “SConfig” tool for initially configuring the server as shown in the next section. After installation and changing the Administrator account password before first time logon, the Server Core configuration was ready for to start configure the server. 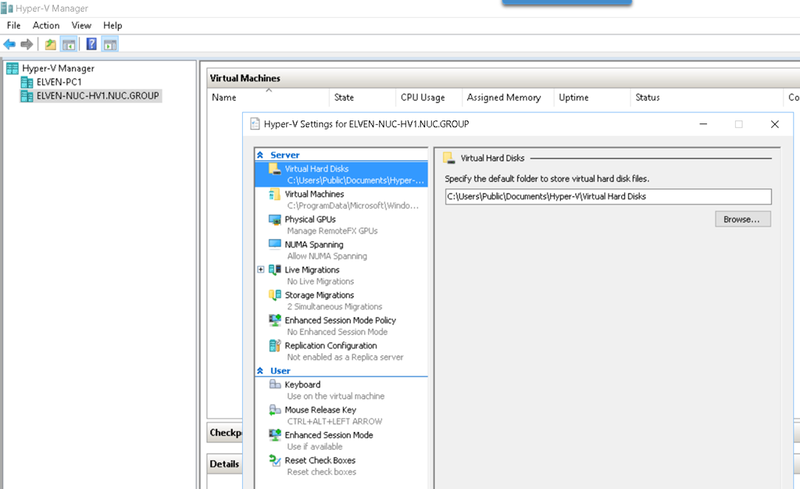 My next step was to add the Hyper-V Server Role and configure for Remote Management via Hyper-V Manager. In the Command Prompt of the server, type powershell.exe to start a PowerShell session. Restart the server before the next step. 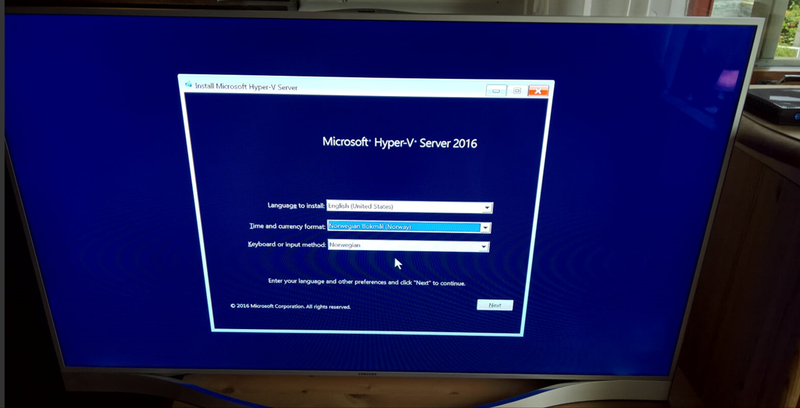 I can now configure Hyper-V Settings and add VMs to the Server via Hyper-V Manager from my Windows 10 client to the Windows Server, version 1709! 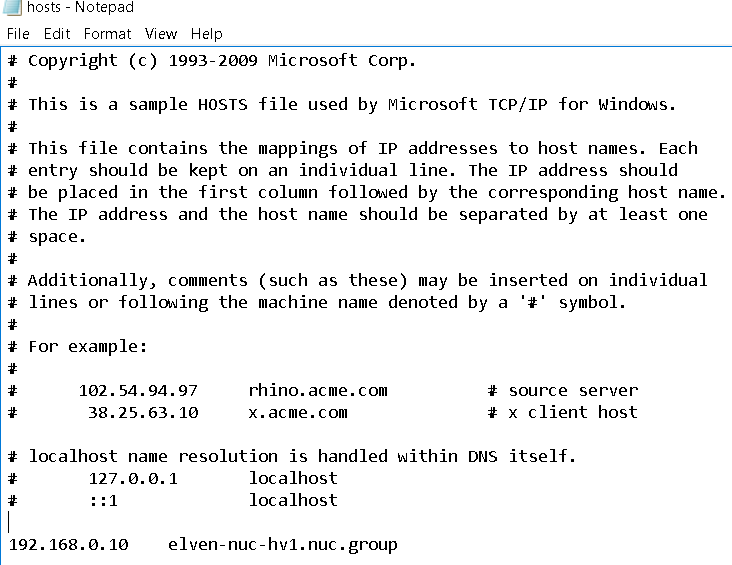 Another way to remote manage the Windows Server, version 1709 is to use the browser based server management tool “Project Honolulu”, https://docs.microsoft.com/en-us/windows-server/manage/honolulu/Honolulu. 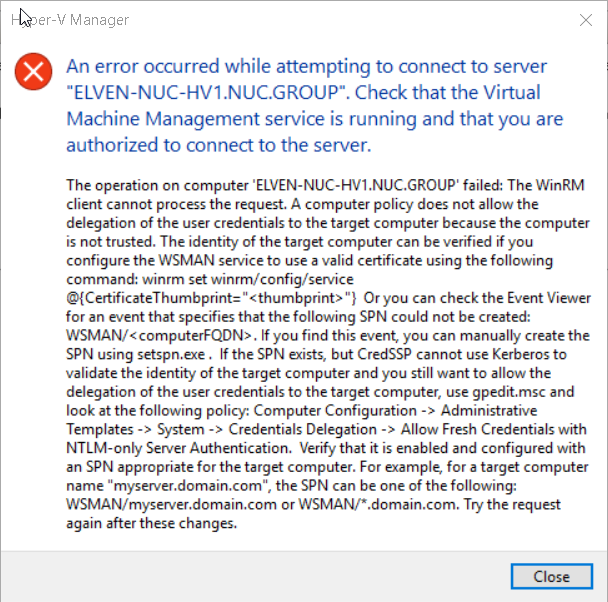 This entry was posted in Hardware, Hyper-V Server, Intel NUC, Project Honolulu, Windows Server, Windows Server 1709 and tagged Hyper-V Server, Intel NUC, Project Honolulu, Remote Management on February 13, 2018 by Jan Vidar Elven.